High Quality Single Row Deep Groove Ball Bearing 6003zz: Rolling bearings use rolling elements to maintain the separation between moving parts to reduce rotational friction and support radial and axial loads. These elements can be one of the following types: ball, cylindrical, spherical, barrel, needle, spindle, or tapered. All rolling bearings are open, shielded, or sealed. Sealed bearingsS are lubricated with oil or grease in the bearing factory, while open and shielded bearings are meant to be lubricated in place, with periodic reapplication of lubrication, based on use. The shield protects the working parts of the bearing from environmental debris that may be introduced and could reduce the ball bearing speed and lifespan. Rolling bearings are used in a range of applications from agricultural machinery to conveying equipment, robotics, dental equipment, elevators, rolling mills, ship rudder shafts, and aggregate crushers, among others. Single row deep groove ball bearings are used in a wide variety of applications, they are simple in design, non-separable, suitable for high speeds and are robust in operation, and need little maintenance. Deep raceway grooves and the close conformity between the raceway grooves and the balls enable deep groove ball bearings to accommodate axial loads in both directions, in addition to radial loads. Single row deep groove ball bearings are manufactured as open type (unsealed), sealed and shielded, the most popular sizes of deep groove ball bearings are also produced in sealed versions with shields or contact seals on one or both sides, the bearings with shields or seals on both sides are lubricated for life and are maintenance free. A sealed bearings seals has contact on the bearings inner and outer, a shielded bearings shield has contact on the outer only, and Shielded bearings are primarily intended for applications where the inner ring rotates. If the outer ring rotates, there is a risk that the grease will leak from the bearing at high speeds. 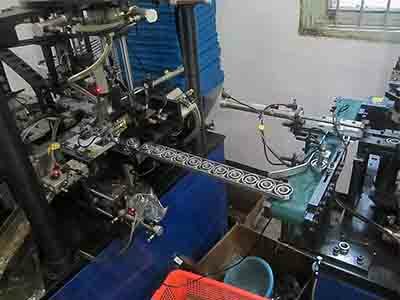 Hebei Naimei Bearing Co., Ltd. is affiliated to Hebei Kaidi Bearing Group - a specialized manufacturer of kinds of bearings for about 16 years. 1. 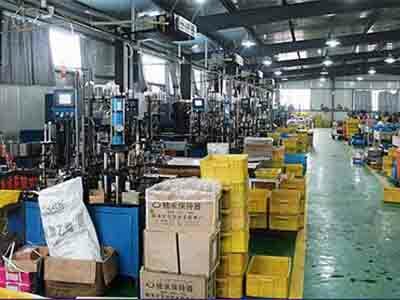 Main Products: Miniature Bearings: like 608, 609, 626, 693, 694, etc; Deep Groove Ball Bearings: like 6000, 6200, 6300, 6800, 6900, 16000 Series; Non-Standard Bearings: U Grooved Bearings, V Grooved Bearings, Double Grooved Bearings, Bearing Rollers with or without Plastic; 2. 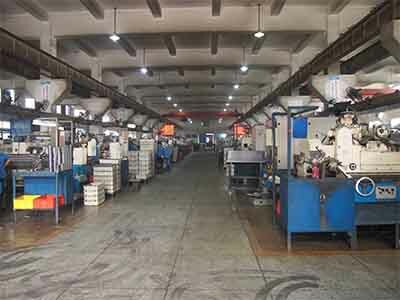 Quality Commitment and Approvals: All bearings with Hebei Naimei are strictly controlled and manufactured in accordance with ISO9001 and ISO14001. 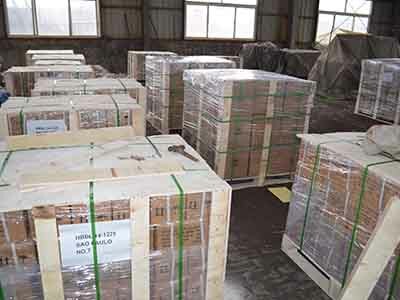 Our products have been being exported largely to Brasil, Turkey, Argentina, Inida, Thailand, Singapore, South Africa, Canada, USA, Spain, UK, Austria and other countries and regions of the world, with great public praise of stable quality and reasonable price. 3. Service Commitment: Hebei Naimei's business philosophy is and always remains "Helping Customers to Succeed." We commit ourselves and our resources to the development of the bearing industry by establishing strategic cooperation with global agents and customers. Here's what NAIMEI BEARING is Commited to Offer for Every Customer: - High Quality Product with Competitive Price; - OEM Product with Low Volume of Order; - Custom Design per Customer's Specific Requirements and Budgets; - Fast and On-Time Delivery; - Flexible Business Deal; - Chief Engineer with over 20 Years' Experience; - Harmonious Colleague and Customer Relationship; - All Products 100% Inspection; - Comprehensive After-Sale Service. 4. Enterprise Culture: Living by Quality, Develop by Credit; Keep Improving, Pursuing Excellence, Beyond Expectation; Create Value for Customers, Create Happiness for Employees. HEBEI NAIMEI BEARING WILL ALWAYS BE AT YOUR SERVICE! 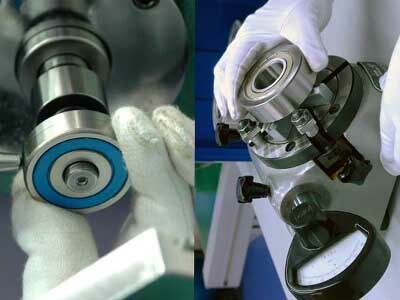 Company Name: Hebei Naimei Bearing Co., Ltd.